This is one of the most exciting times of the year – not just because of all the holiday goodness – but because the new year is coming. So many possibilities and hopefully so much success awaits you. May 2019 truly be your year! Are you excited? Ready to step into the new year with a dance in your step? And with your bullet journal filled with inspiring goals? I’m like a kid on Christmas Eve right now with the anticipation of all that’s right around the corner. And I want that for you, too! 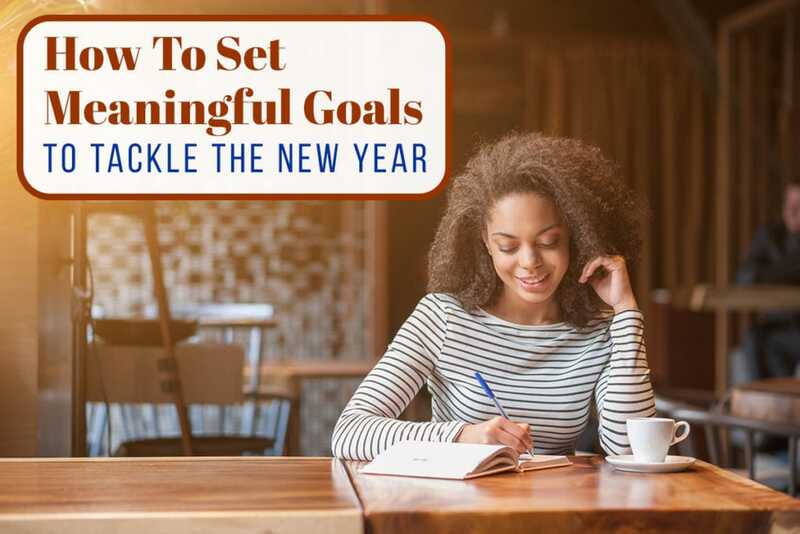 One of the great things about goal setting is that you can replicate the feeling of the new year any day. Today can be your new year! The day you start setting meaningful goals for yourself – goals that get you out of bed, goals that uplift and inspire you each and every day. To me, that’s the meaning of the New Year. A chance to start again, to be better than yesterday, to pursue your happiness, and to see your master plan become reality. 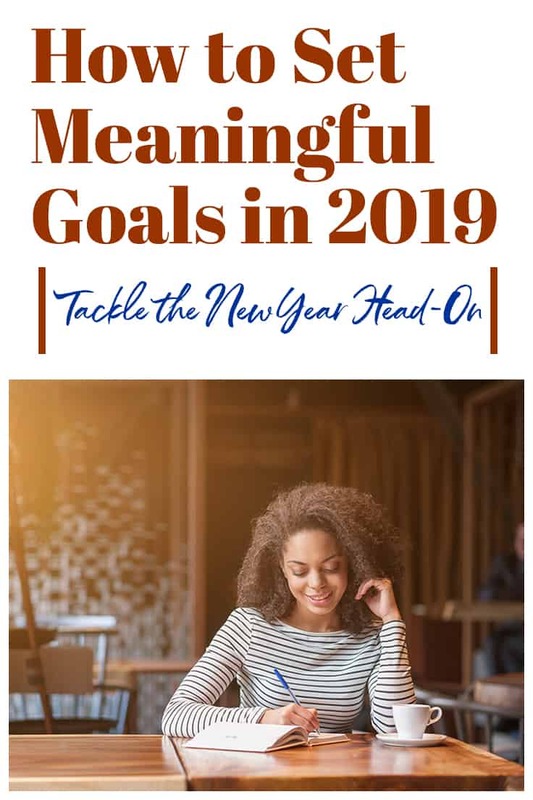 If you’re ready for 2019 to be your best year yet, I’ve got two ways to start setting meaningful goals that you actually want to achieve. And to help you avoid one of the biggest goal setting mistakes – setting goals that don’t really matter to you. Let 2019 be the year you and your goals start saying yes to you! This might seem like really obvious advice, but allow me to explain. Of course, you want to set goals for your hopes and dreams, and of course, you want to live your dream life. Who doesn’t right? I know you know this, but here’s the thing. For some reason, so many of us don’t set goals for OUR hopes and dreams. We’re too busy living someone else’s. Whether you’re aware of it or not, a lot of the decisions you make in life, from what you’ll study in college to the jobs you’ll have all the way to what you think is right and wrong, aren’t actually about you. It can become about your parents, your culture, your society, or what you think you “should” do. So, I give you permission to instead of doing what you should, do what you want. Be a rebel, be a boss, be whoever you want to be! Discover what your deepest hopes and dreams are. I want you to be that little kid who believed that anything was possible for you. Because, in case you forget, it’s still all possible! You’ve still got time, there’s no timer on getting started and going after what it is you really want. The secret to setting meaningful goals that you’re hella excited about reaching is to set goals that set your soul on fire. And only your dreams and your hopes can do that. How many times have you set a goal for yourself that made you miserable? Be honest now. It was a struggle to get excited about it, wasn’t it? There’s a reason most people give up on their new year’s resolutions mid-January – they hate them! So, how about instead you set a meaningful goal that makes you happy! Makes you feel good about yourself and puts a smile on your face. I know what you might be thinking, but can a goal really make me happy? It can – if it’s meaningful and actually matters to you on a personal level. A great place to start is to think about what you enjoy doing, what makes the time just fly by, what do you wish you could do more of? That’s where the magic of goal setting happens, if you set a goal around what you are already excited about, you are more likely to achieve it. Crazy, right? Think about your hobbies, your passions, and your interests. Chase them, go after them in your spare time. And if you’re too busy, make time! Doing what you love and making time for what makes you happiest will also reduce stress, relieve anxiety and make you a cheerful person. Can you think of a better way to improve your life in the new year? Cheers to feeling good and smiling more. Ready to start setting goals that you actually want to achieve? Goals that you’re bursting with excitement to get started on? I knew you would be, here’s exactly how you can get started today (seriously don’t wait for new year’s day to do this). To get started, simply take some quiet time for yourself. Make a cup of tea and have a “me date” with yourself. 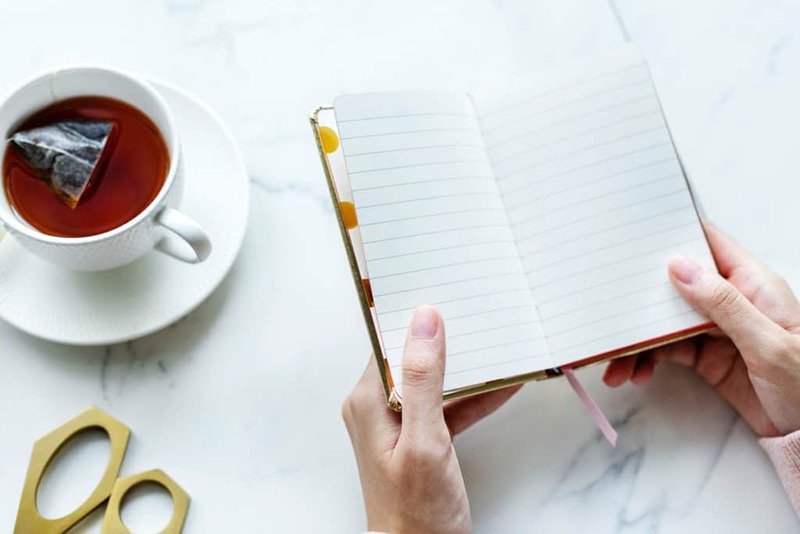 Nothing elaborate, just you with your favorite warm beverage and a blank page in your journal. Write “meaningful goals that inspire” at the top, then just write whatever comes to mind. Next, make a list of anything you could do that would make you happier and bring your dreams to life. It doesn’t have to be something big either, even the smallest things like “speak to a friend every day” or “try something new for lunch every Tuesday,” as long as it’s a meaningful goal for you! Are you stuck on thinking of possible meaningful goals for yourself? No worries, I’ve got just the thing you need. I created a 10-question quiz that helps you dig deep and discover the perfect goals for you. Click here to take the What Should Your Goal Be Quiz and get unique goal ideas just for you. Meaningful goals motivate! They inspire and drive you to live your best life – whatever it may be. Be bold, be silly, be whatever it is you need to be and make 2019 your best year yet. Nadalie Bardo is here to help you slay your goals, so you can pursue your dream life with confidence + action. As the Founder of It's All You Boo, she curates the very best content to keep you motivated and inspired to slay your goals in life and business.